To introduce Krispy Kreme's limited time partnership with Hershey's new Gold candy bar, we emphasized the collision of two great brands and tastes colliding together. To celebrate the 2017 solar eclipse, we launched Krispy Kreme's first ever new glaze flavor "Chocolate Glaze." The campaign set a record for number of impressions for Krispy Kreme, and was even trending on Youtube's Top Videos. On Facebook alone there were over 3.5 million impressions. Knowing that Halloween more often turns into a friendly and neighborly competition, we decided the best way to get an unexpected edge at this year's Halloween party was to bring the best thing no one was expecting. 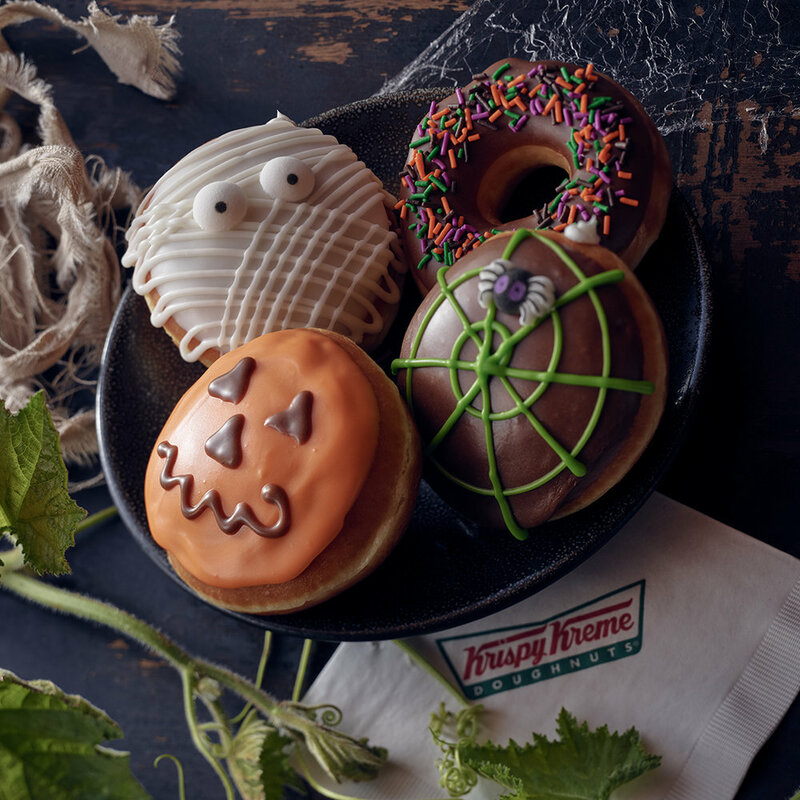 Krispy Kreme Halloween Doughnuts. With the hashtag "Get Some Treat Cred", we built a campaign around the competitive nature of Halloween festivities, and told the narrative in a mock inspirational digital short titled "Rise." To bring Krispy Kreme into the Holiday Spirit, we launched a new Gingerbread Glaze that combined a new gingerbread dough smothered in gingerbread molasses glaze.